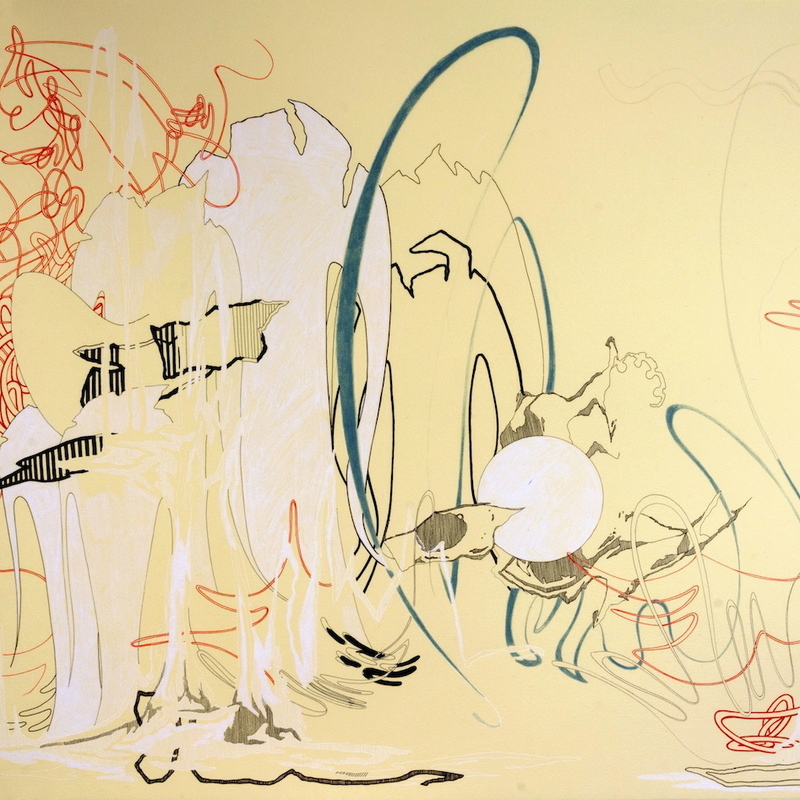 Oil and Cotton is pleased to announce the exhibition of the recent work of Lillian Paige Walton. The opening reception will be hosted at Oil and Cotton on Saturday, March 23 from 6:00­8:00PM. The event is free to the public, with food and beverages provided. she created in mid 2012. Though she primarily employs painting and drawing mediums, Walton describes her current method of working most closely resembling collage technique. 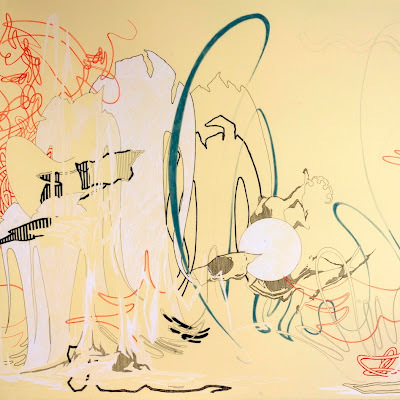 Walton takes disparate elements from a variety of sources (which Walton cites as ranging from Surrealist painting, household objects, to Devo album art ) and combines them with various methods of mark­ making. The resulting abstract compositions are reminiscent of aquatic landscapes, science fiction B­movies, and bewitched breakfast foods...all of which, considering Walton’s diverse canon of influences, likely serve as inspiration. Lillian Paige Walton received a BFA in Studio Art and a BA in Art History from the University of North Texas in 2012. She has participated in numerous group and juried exhibitions in the DFW metroplex. Her work was recently selected for the Rising Eyes of Texas 2013. She currently lives and works in Denton, Texas. 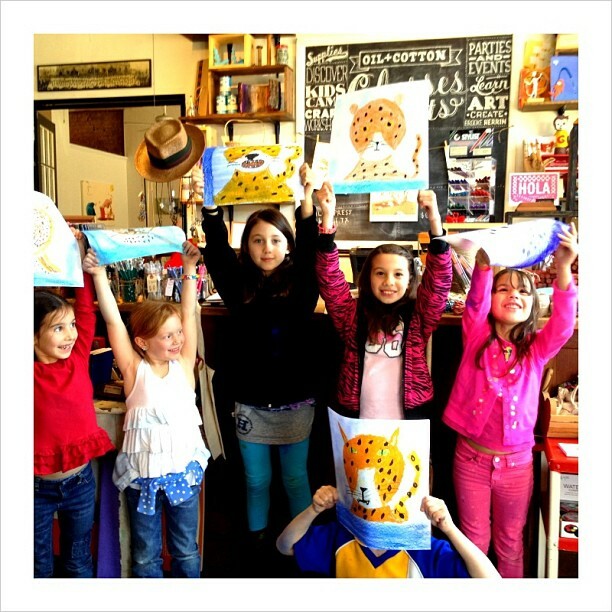 Monday was our first day of this year's awesome line up of Spring Break Art Camps. We all had a great time learning how to make abstract color wheels and draw oil pastel cheetahs with instructors Miss Emily and Miss Jessica. Students learned how to break down animal forms into simple shapes, color blending, colors theory, and the power of imagination! Miles made a printing plate with a scrap of corrugated cardboard from a discarded box and plants handpicked from our garden. 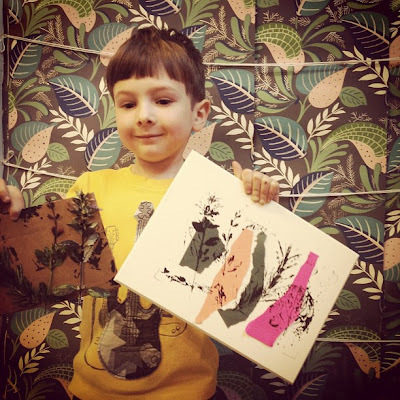 Miss Emily taught the children about the many intricacies and variations of printmaking. Above we interpreted the chine colle process. 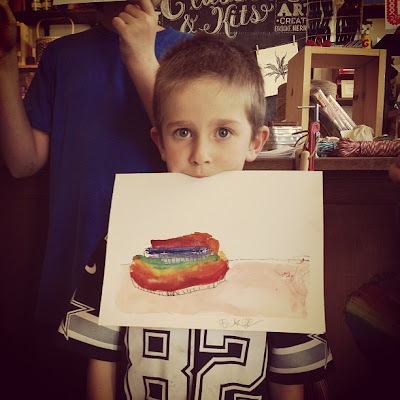 Luca created his very own ORB and painted a watercolor still life of stacked tree slices colored with a rainbow of chalk pastel. Our week long Operation Rainbow Brains summer camp will focus on COMMUNITY ART. 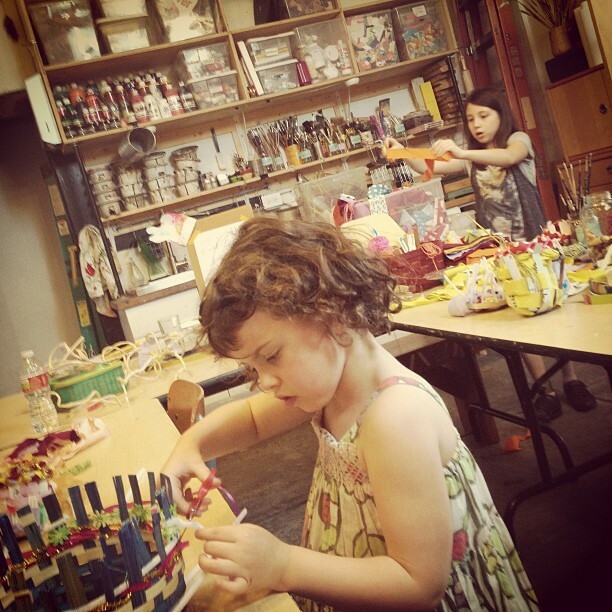 Check out our listings of our upcoming Summer Art and Music Camps. We would love to share a day of fun, learning and creativity with you!